Jyoti Arora is a novelist and blogger from Ghaziabad, India. She is a Post Graduate in English Literature and Applied Psychology. 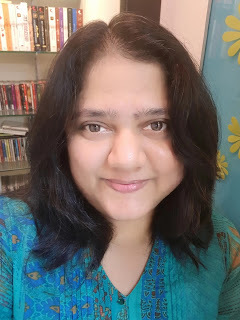 Besides her novels, Jyoti’s writing achievements include several wins in blogging competitions, over five years of freelance writing experience, developing books for kids and abridging 24 famous English novels like Jane Eyre, Adventures of Huckleberry Finn etc. However, if books are Jyoti’s first love, and she’s still very devoted to them, the thrilling and steadily advancing world of technology also fascinates her. As a result, one of Jyoti’s blog is a technological blog called TechnoTreats. One of her posts in this blog even won her the title of Samsung Mobiler in 2011. Jyoti Arora is a patient of Thalassemia Major. Because of this, she had to quit school after class 8th. But she did not let this stop or discourage her. She continued her education on her own through correspondence courses and is a successful career woman now. For her determination and achievements, Jyoti has received appreciation from several eminent dignitaries and her life story has been covered in various local and national TV shows, radio programs, newspapers, magazines and websites. In the year 2016, Jyoti was chosen as one of the 100 women achievers of India that were invited to witness India’s Republic Day parade as special guests. 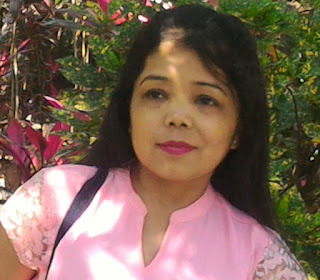 Besides reading and writing novels, Jyoti also enjoys blogging and has won several blogging competitions. She loves checking out latest technological innovations, watching movies, and listening to old Bollywood songs. Reach her at jyotiarora.com. There are many such phrases/sentences in the Novel that I would have loved to highlight but did not. However, I could not get past this one without highlighting it (on Goodreads, as well). It took me five days for me to finish the book, which I could have easily finished reading in one day. Unfortunately, I found time to read the book only during the nights. Those who know me know that I read and/or write mostly at nights. 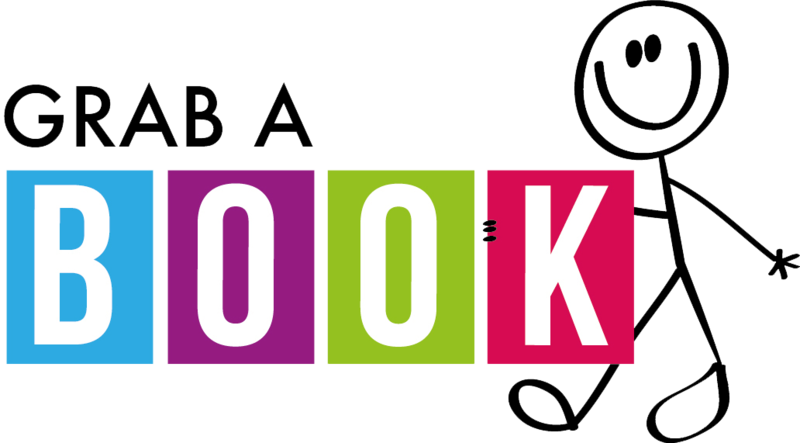 I do not understand how someone can disclose the plot of the story in the reviews they write; my reviews are equal parts of giving exposure to the book and the author and, my views - which are about the cover, story flow, language etc. I conclude by mentioning whether I would recommend this book to my readers. I heard them mourn my death. I lay in the next room. Motionless, silent, and staring at the ceiling. Darkness stretched out from every direction, engulfing me in it. The heavy curtains on the window kept the sunshine away. One streak of sunlight still managed to trespass into the territory of gloom. And ... I was hooked. The writing style of the author is impressive. I had heard a lot about her book 'Lemon Girl' but could not get a chance to read. I might read it after reading couple other books of different genre. The cover is attractive and the title of the book is relevant to the story. The story began at a perfect pace, slowed down just a bit and then picked up speed again. The author has done justice to all the characters of the Novel (each mentioned in the blurb of the book); she's described a scene well, dealt with the emotions of the characters beautifully. The story flow is good; slightly slow for a few chapters as mentioned before but for the rest of the book it's smooth. The language is simple and impressive, almost poetic at places. I did manage to find a couple of typos (could not resist) but you can overlook them, with due respect to what the author has to offer. Other than those couple of typos, the editing is almost flawless. Two stories seem to run parallel in the book initially but they merge in the story at a specific point. I read the kindle version of the book and I was on 79% of the book when the story ended. Rest 21% of the book is dedicated to excerpts from other books of the author. Maybe this was the reason I felt the story ended abruptly because a part of me was expecting more in the plot for the remaining 21%. The author has wrapped up things perfectly in the epilogue; but my version of the story would have been written slightly differently. I would definitely recommend this book to my readers, it's worth every penny you spend. This is me with my review without glimpses into the story plot. Though, I have to mention something about Uday - who is sort of 'anti-hero' but I liked the way the author has mentioned him in positive light at some point. That's how it is, how it should be. A negative character can have something positive in him/her. (Hint: Like Manish and Vaidehi from my Untitled Series). My rating on Goodreads is 4 stars because I hardly give 5 stars. I do not want the authors to reach a saturation point, where they think they have done their best; they can always go beyond what they have achieved so far - should always go beyond - Keep growing. 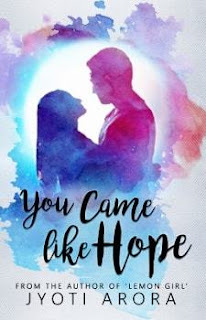 Grim though the theme of 'You Came Like Hope' is, I've tried my best to keep the Novel entertaining. It is, above all, a love story. A contemporary romance waiting to warm your heart with the feeling of true love.